This morning Ron and Dean left before I thought to take a picture. An Ozzie and a Londoner off to Vladivostok. Take care guys. Beth left shortly afterwards with Shalom, heading for the large Buddhist monastery in the north. All the guys all wanted her picture, the poor girl was quite embarrassed! 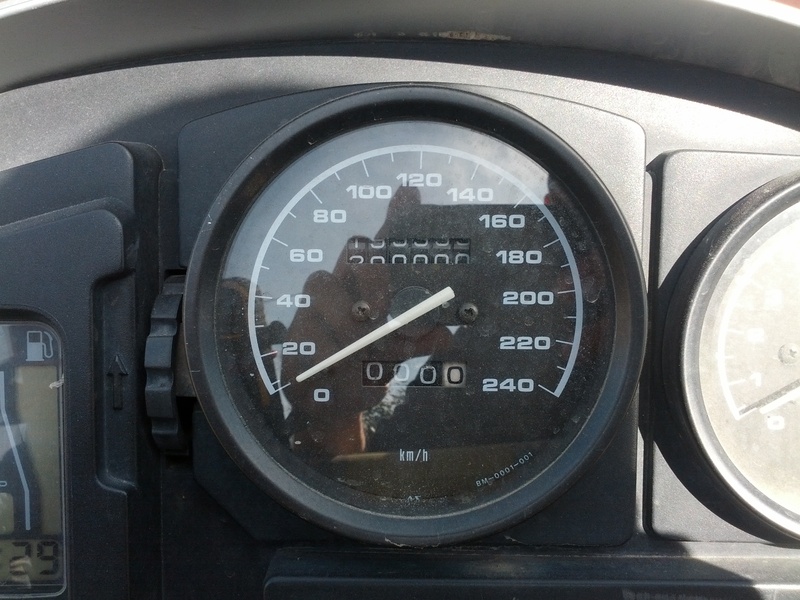 Shalom’s speedo cable broke a while ago, which means it’s stopped recording the mileage too. Take a close look at exactly when that cable broke. What are the chances eh? ?